“JOLIE CONCIERGE DI FLAVIA VALENTINI” with registered office in Rome, Italy, tax code, VAT No, 14664031003, and REA n.1536913, called from here on out, “JOLIE CONCIERGE”. These digital services are used to offer information to clients and potential clients, manage the reservation system for each services, and provide any other services considered necessary at any time for the effective pursuit of the corporate purpose. The information in this Legal Notice is current up to the date of the latest update. JOLIE CONCIEREGE, reserves the right to update, amend or remove information from this website and may limit or restrict access to the same. JOLIE CONCIEREGE, reserves the right at any time to make any changes and amendments it deems necessary, and may do so at any time and without prior notice. JOLIE CONCIERGE, makes every effort to avoid any errors in the content that may appear in its digital services. JOLIE CONCIERGE, shall not be held liable in any way for the content, commercial activities, products or services included and which may be viewed via third-party electronic links, whether directly or indirectly, from these services. JOLIE CONCIERGE, shall not be held liable in any way for the content of other websites which it does not own, and which may be accessed through a link, as it is unable to supervise the legality and content thereof. JOLIE CONCIERGE, reserves the right to prevent or prohibit access to its digital services to any users who insert contents that violate the law or that can be regarded as immoral, and also reserves the right to exercise any legal measures it deems appropriate to prevent this type of behaviour. JOLIE CONCIERGE offers a variety of services through its digital websites, mostly relating to the booking and managing of accommodation and experiences services reservations, and events. The users undertake to use the resources, contents and digital services at their disposal and agree to refrain from their use for illegal, unauthorised or fraudulent purposes and/or for purposes contrary to those described in this legal notice, which could harm the rights and/or interests of JOLIE CONCIERGE, or of any third parties, or which may in any way damage or hinder their correct operation, or the services offered therein either now or in the future. The users are wholly responsible for the content and opinions expressed; the company shall be held harmless, and do not necessarily share their opinions. It is strictly prohibited to advertise other websites or third-party services, including links to other pages or references to third parties, without express authorisation from JOLIE CONCIERGE. Access to these digital services provided by JOLIE CONCIERGE is the exclusive responsibility of the users. Any risks arising from the their use by users shall be their sole and exclusive liability. Jolie Concierge Company shall not be held liable for any damages arising due to omissions, interruptions, computer viruses, telephone malfunctions or disconnections in the operational functioning of this electronic system and resulting from causes beyond its control; delays or blockages in the use of this electronic system caused by deficiencies or overloads in its Data Processing Centre, telephone lines, the Internet system or other electronic systems; or for any damages that may be caused by third parties through illegal interference beyond the control of Jolie Concierge Company. Furthermore, JOLIE CONCIERGE shall be held harmless from any damages that may be incurred by users as a result of errors, deficiencies, omissions or information from external sources or from the users themselves. JOLIE CONCIERGE makes every effort to ensure that browsing takes place in the best conditions and to avoid any type of damage that might arise during the process. JOLIE CONCIERGE, shall not be held liable for damage, of any description, that may occur to users as a result of the use of other browsers or different versions of the browsers and systems for which the our digital services were designed. JOLIE CONCIERGE, does not accept responsibility for ensuring, nor does it guarantee, access to these digital services without any interruptions or errors. Neither does it accept responsibility for ensuring, nor does it guarantee, that any content or software accessed through our e-commerce services is free from errors or does not cause damage. JOLIE CONCIERGE strictly comply with current data protection regulations and, specifically with the provisions in Constitutional Law 15/99 of December 13, on the Protection of Personal Data, and its implementing regulation, and your personal data will not be used for any purpose other than those you have authorised and which were necessary to provide the services requested. It therefore takes all the technical and organisational measures required to avoid the loss, misuse, alteration, unauthorised access and theft of the personal data provided, where applicable, through these digital services, given the state of the technology, the nature of the data and the risks to which such data are exposed. Unless otherwise specified in each case, any texts, images, illustrations, designs, icons, photographs, video and sound clips and any other materials contained in these digital services and any other intellectual creations and/or inventions or scientific or technical discoveries, whatever their business or industrial application (hereinafter, collectively described as the “Content”) have been created or invented by JOLIE CONCIERGE or assigned, licence, transferred or authorised to them by their owners and/or assignees. 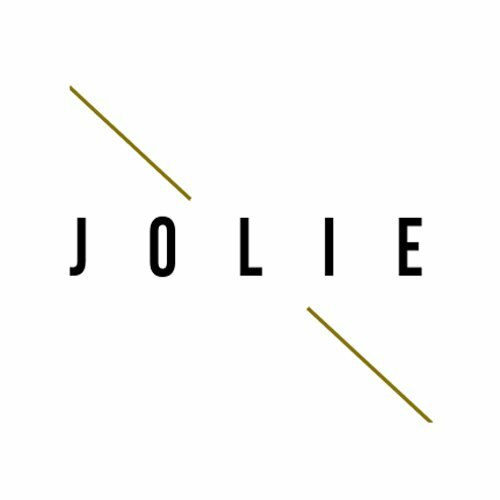 The users undertake not to remove or alter any distinguishing marks, including but not limited to: brands, trademarks (graphics, logos and others), copyrights and any other details identifying the rights of JOLIE CONCIERGE. Users also undertake not to use, copy, reproduce, distribute, transform or amend the Contents, unless authorised by the owner of the corresponding rights, or with the authorisation of JOLIE CONCIERGE. JOLIE CONCIERGE is the owner of all copyright to any works, inventions, discoveries, patents, ideas, concepts, updates and improvements relating to the digital services, their systems, applications and programmes and to the services rendered by JOLIE CONCIERGE and which were created, provided, developed or commissioned first by JOLIE CONCIERGE, whether on their own or with the assistance of the users, in the course of or as a result of any designs, developments or any other tasks carried out under the terms of the Contract. 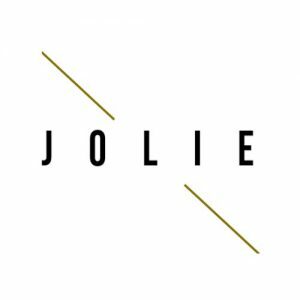 Users may not use the name or any brands, symbols, logos or distinguishing marks owned by JOLIE CONCIERGE without their express consent in writing with regard to these contents. The Rights of use contained in this Legal Notice are governed by the Italian Legislation. Italy has implemented Directive 95/46/EC on data protection through Legislative Decree No. 196/2003, the Italian Data Protection Code. The Italian Parliament recently passed Law No. 163/2017 (Enabling Law) to prepare for the entry into force of Regulation (EU) 679/2016 on the protection of natural persons with regard to the processing of personal data and on the free movement of such data (General Data Protection Regulation (GDPR), which will be directly applicable in all EU member states as of 25 May 2018.